Hi everyone! I miss giving lipstick reviews so here I am again with another one! 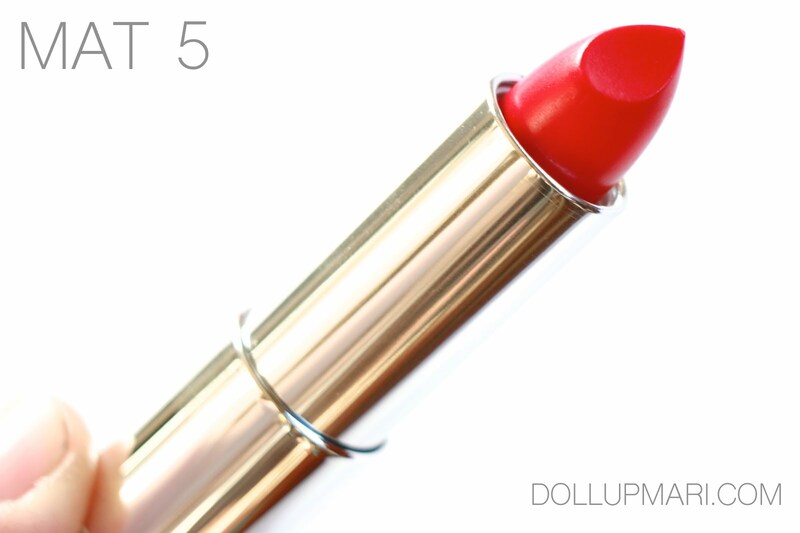 This lipstick is Maybelline's Bold Matte in shade Mat 5, or red. This is something I'd consider as a very neutral red without a lot of undertones. It has an tiny little blue undertone, but it's still leaning towards the neutral. Maybelline is proud to present this to the world as their powderless formula, promising a very comfortable wear. They also promise more matte pigments for very vivid color, and honey nectar to nourish the lips. This is the lipstick itself. It's really just got this neutral red color. 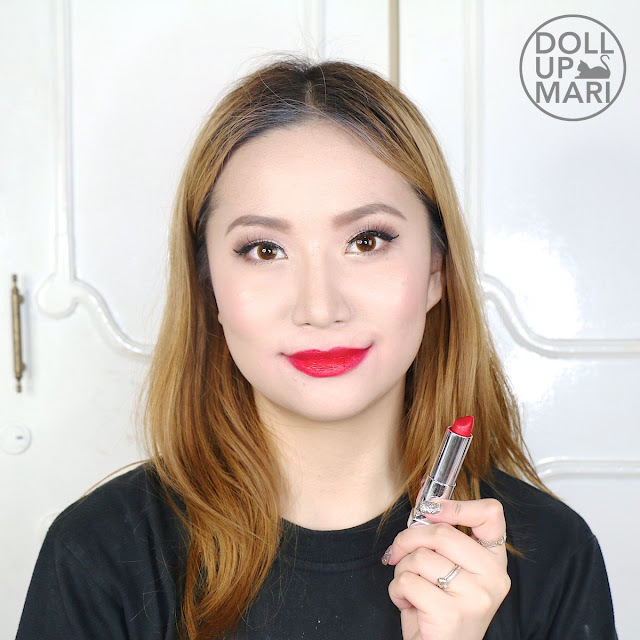 I find that this will be a very flattering shade for a lot of Pinays out there because it's a very neutral red with just the right amount of vividness for daily usage. Given the special features of the product, I'm guessing they really made this product line to be the best for daily use. It's vivid, but not shocking kind of vivid. The people who are into head-turning lipsticks will probably not be into this shade. But for the folks out there who are into wearable reds, try this out. It's also got a neutral effect on the teeth. I did not feel that the shade creates an illusion of darker or whiter teeth. The color payoff is very good (what I saw on the tube is what I see on myself), but it's not very pigmented of a formula. 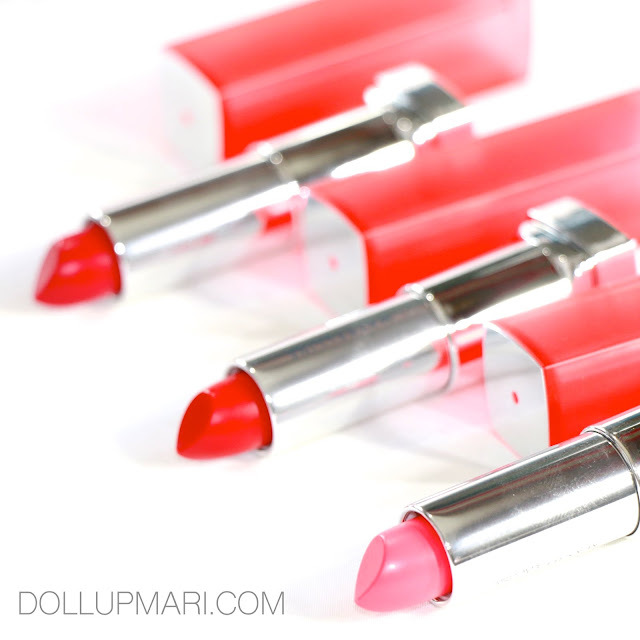 It's not a solid, opaque formula that kills off whatever color your lips have. It's also not the kind of matte lipstick that dries up and stays put-- it really acts like a typical lipstick, or like a nice colored lip balm. 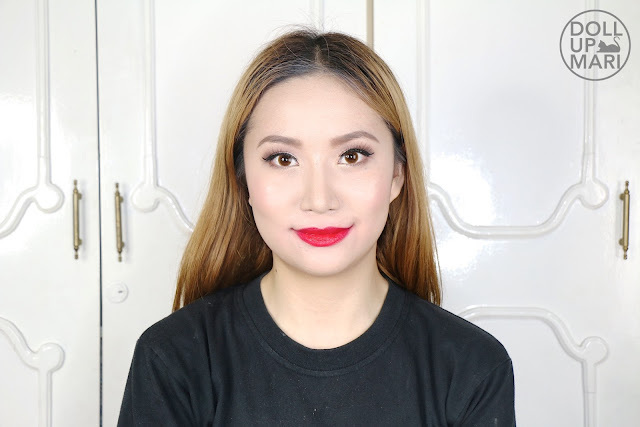 The wear is comfortable, and it lasts for a reasonable amount of time, but if you want a very solid opaque shade to really overpower your lips' color, this isn't the Maybelline product for it.